Ilse Hirsch on the cover of a 1940 Party publication. Assassinations or kidnappings of key figures behind World War II enemy lines are much contemplated in turgid fiction, such as in "The Eagle Has Landed," the classic thriller by Jack Higgins that was later made into a fine film directed by John Sturges and starring Michael Caine. However, actual infiltrations leading to death of the target were few and far between. The 1942 assassination of Reinhard Heydrich, architect of the Holocaust, in Prague is the one example pointed to by most armchair historians. 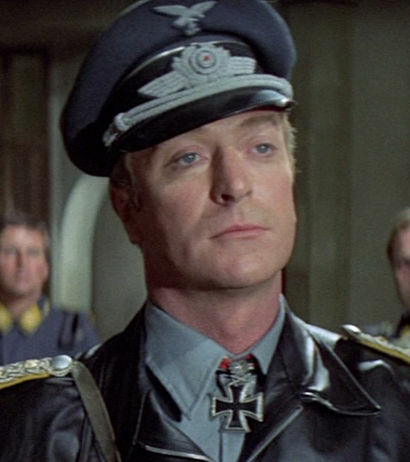 Michael Caine in "The Eagle Has Landed." 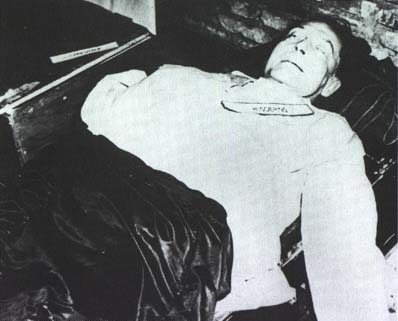 There were other successful assassinations, however, and they tend not to get much attention these days because they involved relatively minor historical figures. One of these resulted from Operation Carnival ("Unternehmen Karneval"). 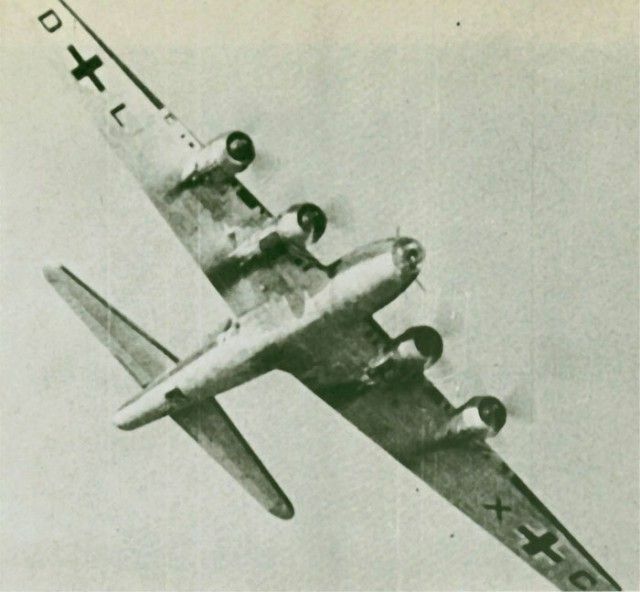 This deadly last-ditch German operation pulls together strands from several other articles I have written and shows how one aspect of the war could impact or facilitate others. It is a chilling tale that was a complete success. In late 1944, the American were on the threshold of the Reich and even had a few small slivers of German territory. One of the basic tenets of Hitler's philosophy was that there could be no accommodation with the enemy - World War II is notable for the absence of any truces or serious, good-faith attempts to work out some kind of conclusion by the major powers without the imposition of armed force. With the Allies encroaching on its territory, the warning went out in early October via the SS newspaper, Das Schwarze Korps, that there was to be no German assistance in administration of captured German territory. 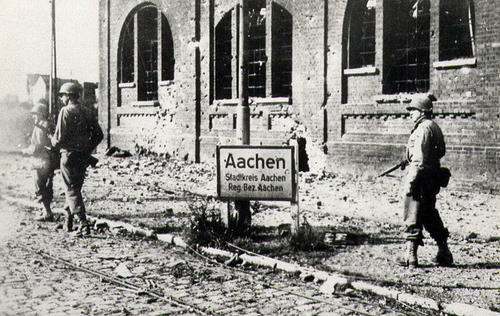 Since Aachen in northwest Germany was the only area under serious attack at the time, the warning was rather pointed. Disregarding the admonition, which could not have been clearer in its implications, local 41-year-old lawyer Franz Oppenhoff agreed to become Mayor (Burgomeister) of Aachen under American supervision as of 31 October 1944. While this was not publicized due to the obvious danger to Oppenhoff and his family, some of which lived in German-controlled territory, word soon got out to the Party hierarchy that this German was assisting the Americans. SS boss Heinrich Himmler quickly ordered SS Obergruppenführer Hans-Adolf Prützmann to correct the situation in the obvious way. Why Himmler didn't ask his usual special-projects guy, Otto Skorzeny, to take charge is unclear. It likely was because Skorzeny was fully occupied with another project at the time, Operation Greif, which had far greater priority in light of the strategic situation. Skorzeny also was an artist at his trade and this would be a simple execution, plain and simple, without the kind of elaborate planning at which Skorzeny excelled. 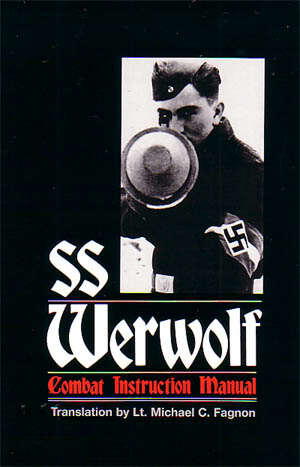 In any event, Prützmann was in charge of the overall Werwolf scheme at Hülchrath Castle, and the plan would use some members of that shadowy organization. 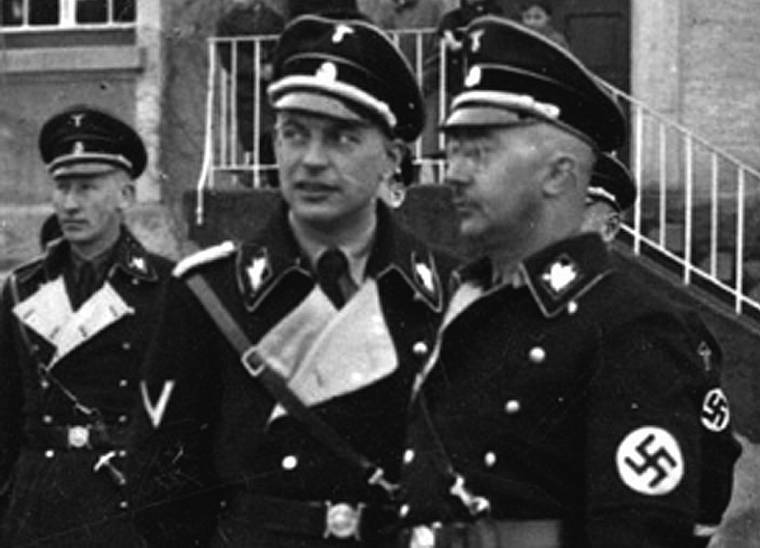 SS Obergruppenführer Hans-Adolf Prützmann with Heinrich Himmler. That appears to be Heydrich in the background left, but I could be mistaken. 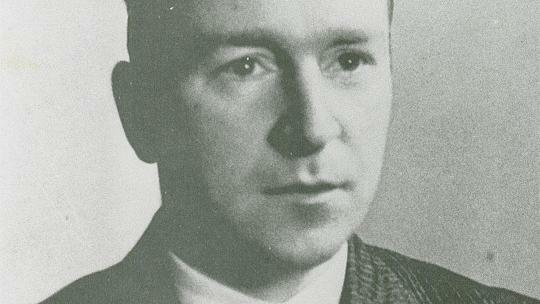 Prützmann assembled four reliable SS men and two members of the Hitler Youth to carry out the operation. 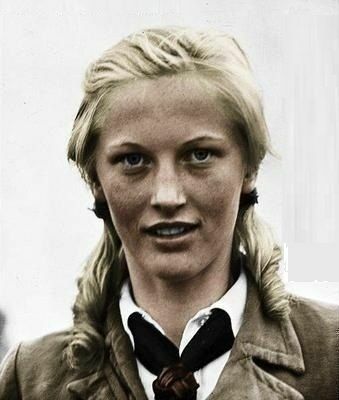 In an extremely unusual move, one of the Hitler Youth was a League of German Maidens (BDM) girl, Hauptgruppenführerin (Captain) Ilse Hirsch. 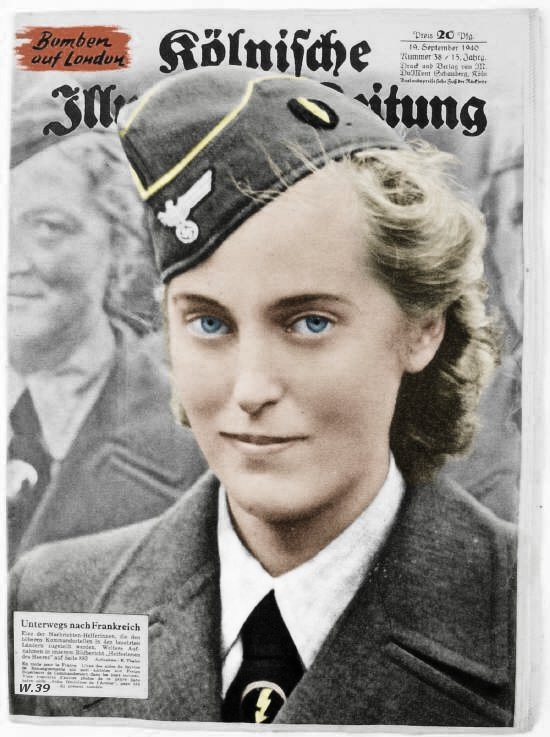 Women were the backbone of the Third Reich, and they became an increasingly important part of the Germans' secret operations as the military situation deteriorated. This likely was due to their ability to appear non-threatening and gain easy access to soft targets. 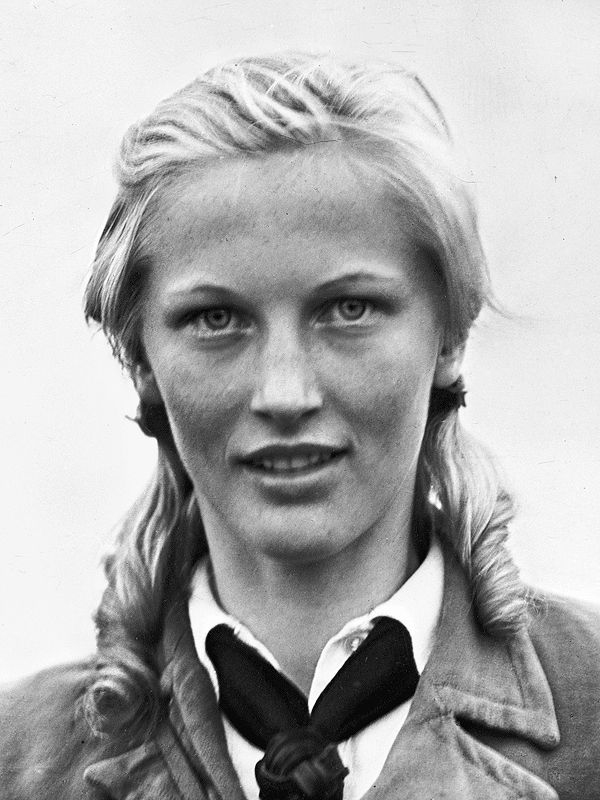 Ilse happened to be a long-standing propaganda figure who would have been considered absolutely reliable, and that was the essential quality for Operation Carnival. Obviously, it was a high honor for her to be chosen and a testament to her loyalty to the Party. Wenzel was in charge of Carnival, with Leitgeb second in command. They were the assassins. Hennemann and Heidorn were along as guides because they knew the area, while Hirsch and Morgenschweiss would help the group obtain supplies from the occupied area. 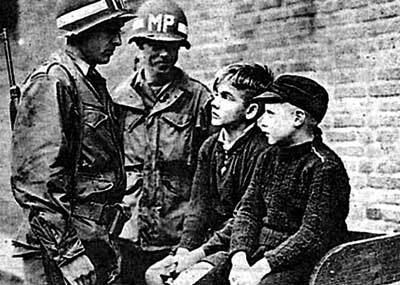 Morgenschweiss was but a 16-year-old boy, but, by that time, child soldiers were in the thick of it and aimless boys were seen on every street in Germany. He, along with Hirsch, could pose as an innocent refugee while seeking food, information and other needs. Both also were familiar with Aachen and had friends there, Ilse through her extensive BDM contacts. The captured B-17 used in Operation Carnival. The team trained during early 1945 and finally parachuted into a Belgian forest near Aachen on 30 March 1945. By that time, the Americans were across the Rhine, the Russians were 60 miles from Berlin, and the Germans had bigger issues. However, the team was ready and the Party's need to intimidate possible turncoats (and simply seek revenge and show their anger, not a small consideration for the big bosses) greater than ever. Parachuting to the west of Aachen allowed the team to approach from the Allied direction, thereby further making them appear non-threatening. The plan used a captured B-17, called "Wulf Hound," to avoid unwelcome fighter and anti-aircraft attention. Preparation was meticulous. American MPs questioning young German refugees in Aachen. Morgenschweiss would have blended in well. Hirsch parachuted with the others, but she got separated in the night. Resolutely, she made her way into Aachen alone. The fact that Hirsch pursued the plan despite this obvious opportunity to defect shows her deep commitment to the cause and, indeed, the regime. She found a fellow BDM girl that she knew in Aachen - that must have been some meeting - and pinpointed the target's location. Clearly, the attempts to keep Oppenhoff's situation a secret from the local populace had been a miserable failure by the Allies. 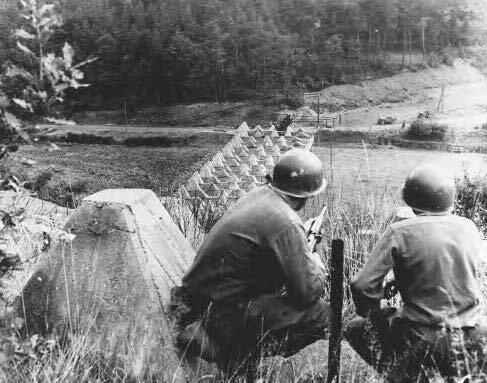 The heavily mined Siegfried Line ran just outside of Aachen. The entire team ultimately all hooked up in the ruined city on 25 March 1945. In preparation, they severed the phone line to Oppenhoff's house. The two leaders, Wenzel and Leitgeb, then knocked on Oppenhoff's door at No. 251 Eupener Strasse, posing as downed German pilots. The Mayor, however, was not at home, but at a party in a neighbor's house. Somebody - perhaps his wife Irmgard, or one of their three children - hurriedly went to get him. One can imagine Wenzel's and Leitgeb's feelings at this point as they stood on the doorstep, pistols at the ready. Not only was this traitor living high on the Allied dime, he was partying as if the war was over. Despite this, though, they still would give Oppenhoff one final chance to show his loyalty by directing them back to the German lines. This, however, was not a choice that Oppenhoff would choose to make. When Oppenhoff showed up at the door, the assassins briefly kept up their disguise, perhaps to make absolutely sure that they had the right man. They did. Oppenhoff refused to help them return to German lines. Instead, he exhorted them to simply surrender, as the war was lost for Germany. At this point, Wenzel somewhat surprisingly did not act... but Leitgeib did. Leitgeib was a tough front-line soldier who understood his orders and knew how to carry them out without any hesitation. Leitgeb shouted "Heil Hitler," drew his pistol and shot Oppenhoff through the forehead. There apparently was another person at Oppenhoff's doorstep, and who it was is unknown. Perhaps it was Hirsch, who would have aided the appearance of normalcy to whoever answered the door. 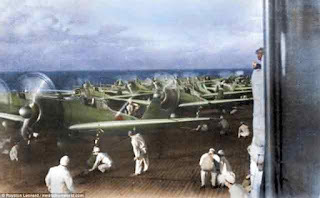 In any event, with the target liquidated, the three quickly scattered just ahead of an American patrol investigating the cut telephone line. While heading back to the Reich, Hirsch stepped on a landmine (undoubtedly German) which injured her knee and killed trigger-man Leitgeb. 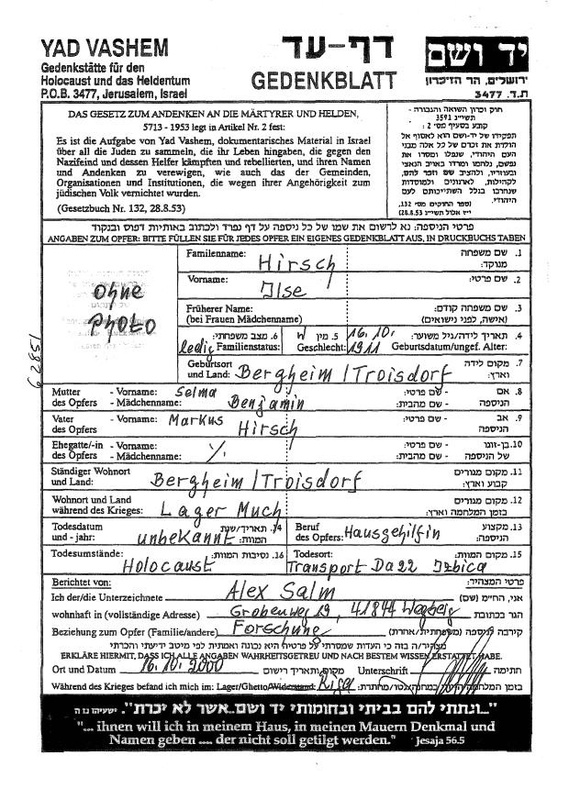 The fact that the two were still together (and one suspects that Wenzel remained with Leitgeb) at this point strongly suggests that Hirsch indeed was the third assassin at Oppenhoff's house. Wenzel's fate is unknown (meaning, he got away completely or was killed during the last days of the war), but the four remaining members of the team apparently survived the war. Hirsch, a tough girl who had recently parachuted into enemy territory, hiked into an enemy town, lived hand-to-mouth for a week, and helped accomplish one of the most successful operations of the war, then limped back to her home in nearby Euskirchen, now also occupied by the Allies. There, she finally spent some time in the hospital as the Reich fell. The team members ultimately were arrested by 1949 and, at the "Werwolf" trial that October, given short prison sentences (Hirsch received the most, four years) and then were set free. 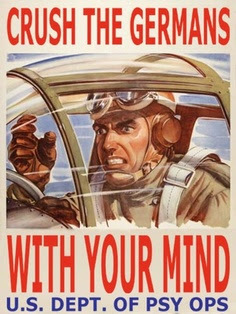 The ironic thing about the entire operation was that the Allies already had decided, due to a US Army Psychological Warfare Division study, coordinated by historian Saul K. Padover, that Oppenhoff was a liability. They decided that Oppenhoff - the man who decided not to help the NSDAP cause when the supposed downed pilots knocked on his door - and his associates were unreliable, too sympathetic to the Hitler regime, and needed to be replaced. It just shows how tricky things get when trying to choose sides between bitter enemies. 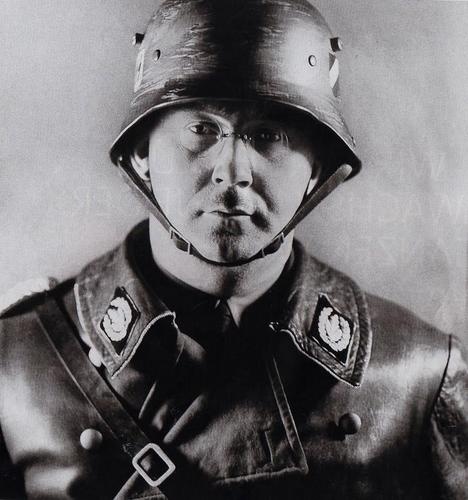 However, while Oppenhoff died and the Allies were left looking foolish and incompetent, one man definitely got what he wanted - Heinrich Himmler. It was one of the last times he did. Oh, and one last, perhaps unrelated, post-script to the story: the means by which Hermann Goering obtained the poison with which to commit suicide and evade the hangman has been debated since the day it happened. Many theories have been advanced, and all have flaws. One story, however, stands out. Shortly before his death in 2005, a former American MP Private confessed that, while he was guarding the former Reichsmarschall in Nuremberg Prison in 1946, he was seduced by a beautiful young German woman. After a few "dates," she convinced him to carry some "medicine" to Goering - without, of course, informing his superiors. Once he had done so and she had confirmed it, the mysterious young woman abruptly disappeared from his life and into the mists of history. Nobody will ever know the identity of that loyal young German maiden. You are correct, that is definitely Heydrich in the background photo, with Himmler at the forefront. The elderly lady in the green jacket at the bottom of the page is Austrian author Ilse Aichinger, not Ilse Hirsch.